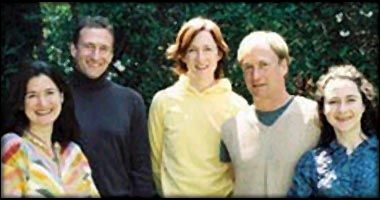 Brian Henson, son of the late Jim Henson, today announced that he, his sisters Lisa, Cheryl and Heather, and his brother, John, have signed a definitive agreement to acquire The Jim Henson Company from EM.TV & Merchandising AG for $78 million in cash (and $11 million in the company's current liquid assets). Upon completion of the transaction, all five family members will serve on the company's board of directors, and Brian and Lisa Henson will be actively involved in the company's management. Brian Henson said, "I am absolutely thrilled that Lisa, Cheryl, John, Heather and I will acquire the company our father founded some 45 years ago. This has been a very challenging period for The Jim Henson Company. But the company has achieved some great things over the past few years, continues to have great assets and, we firmly believe, has great potential. Our commitment, as the Jim Henson Company's new owners and as Jim Henson's children, is to preserve and enhance those assets, fully realize that potential, and thereby honor our father's legacy. "In the months and years ahead, we will be actively exploring new and expanded strategic relationships to help us continue to carry out the company's mission: making the world a better place by inspiring people to celebrate life," Mr. Henson concluded. Assets of The Jim Henson Company to be acquired in the transaction announced today include: The Muppets, The Muppet Babies, The Fraggles, The Hoobs, Farscape, and Bear in the Big Blue House. The company's principal operations include: Henson Television, Jim Henson Pictures, Jim Henson Interactive, Jim Henson Home Entertainment, the Henson Recording Studio, and Jim Henson's Creature Shop(TM). -- It's A Very Merry Muppet Christmas Movie, on NBC, achieved the highest rating last season for a television movie in primetime with more than 11 million viewers. -- Accomplished cross-platform revitalization of the Muppet franchise through marketing and promotional alliances with MasterCard, Macy's, NASCAR and Starbuck's, among others. -- The Muppets remain pop culture icons with 5,000 licensed products in the marketplace and national appearances on such outlets as Good Morning America, Today, Hannity & Colmes, Live with Regis and Kelly, The Late Late Show with Craig Kilborn, and Access Hollywood. 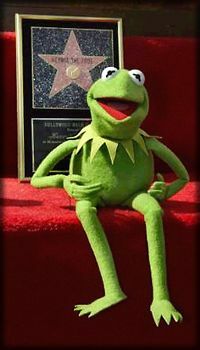 -- Kermit the Frog received his star on the world-famous Hollywood Walk of Fame, culminating a year-long celebration of the 25th Anniversary of The Muppet Show that included such high-profile appearances as The Queen's Golden Jubilee and a top-ranking music video with the popular band Weezer. Assets that were part of The Jim Henson Company at the time of its acquisition by EM.TV & Merchandising in March 2000, and that EM.TV subsequently sold, include: the Sesame Street characters; and the company's interests in the Odyssey, Noggin and Kermit cable channels. Completion of the transaction, which is subject to customary U.S. and international regulatory and other approvals, is expected to occur in eight to ten weeks. The financial and legal advisors to Brian, Lisa, Cheryl, John and Heather Henson with regard to the transaction were Goldman, Sachs & Co. and Debevoise & Plimpton, respectively. 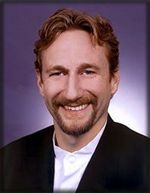 The Endeavor talent agency brokered the deal on behalf of Brian Henson and the Henson family. Endeavor is an integrated talent and literary agency that represents some of the most prolific writers, producers, directors and actors worldwide.